Impress your customers with the Dasin Bubble Tea Shaker, it features a sleek and modern design to accentuate your Bubble Tea Shop. Using a shaking machine will reduce employee costs and the new compact design also saves valuable counter space. If you have been shaking your tea by hand, let the Dasin take over so you can focus on growing your business. 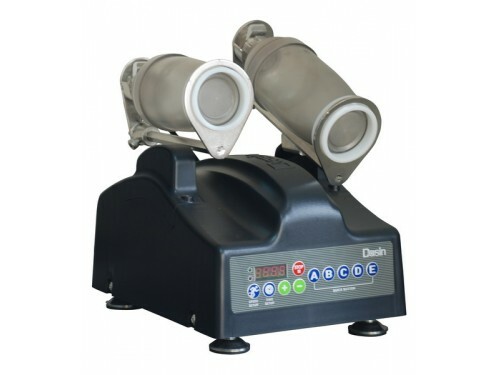 With 10 speeds and 5 custom programs, the Dasin is one of the most advanced Bubble Tea Shakers on the market. We ordered to this to replace an old bubble tea shaker machine that we were using in store. I am very happy with this one instead. It is much smaller and therefore takes up less space in our preparation area. It is also more efficient at doing it’s job and therefore we have a quicker turnaround time and less queues. Service of this particular shop was also fast and efficient. Perfect cocktail shaker for my bar. My employees and customers love it! I bought this shaker machine when I first started offering boba at my restaurant. It works great and is much easier than shaking by hand! The shaker looks great and is really easy to use. Shipping was fast too. Thanks!